American journalist and writer; born in London, England, May 9, 1834.Phillips received his elementary education in Cleveland, Ohio, and later continued his studies under private tutors in New York. He studied for the legal profession, first in Buffalo and later in New York. 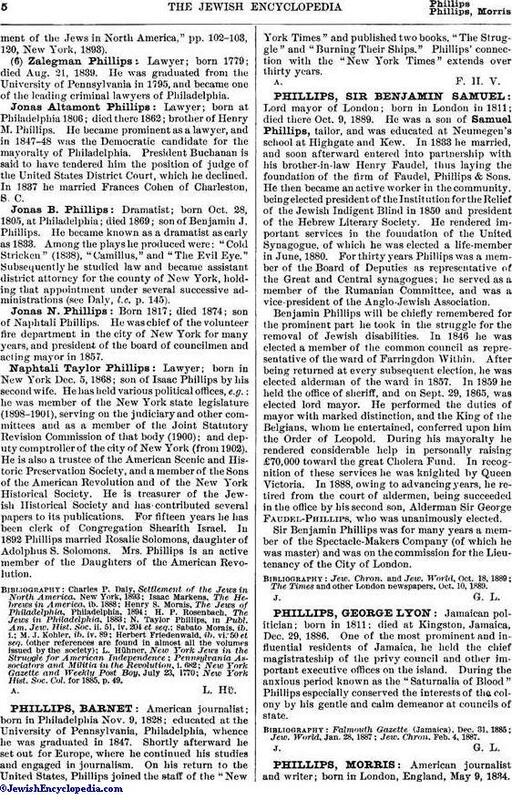 But the opportunity being open to him of association with Nathaniel Parker Willis as joint editor of the "New York Home Journal," he embraced it at once, and from Sept., 1854, until the death of Willis in Jan., 1867, Phillips was associate editor of that periodical, of which he then became chief editor and sole proprietor. 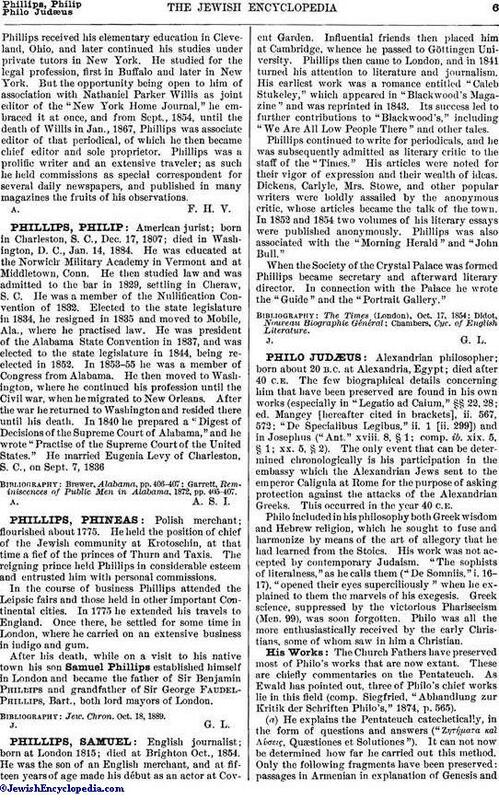 Phillips was a prolific writer and an extensive traveler; as such he held commissions as special correspondent for several daily newspapers, and published in many magazines the fruits of his observations.